If you are looking for an activity for your child join Kuwait Little League Baseball .Kuwait Little League (KLL) has been in existence since 1980. 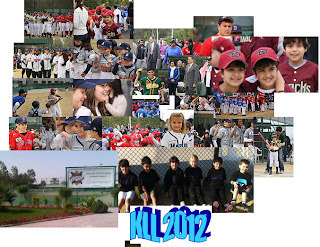 They are chartered with Little League International in Williamsport, Pennsylvania in the United States. (Link) All of the coaches are volunteers, this allows them to be able to offer 6 months of a twice a week activity for 80 KD for the 6 months. They also offer the players jerseys and caps (uniforms for their team), the use of all equipment (except a glove) and every child gets a team picture and a trophy at the end of the season included in the season fee. "Our players range in age from 4 1/2 to 17 both boys and girls. We are also in the third year of having our Challenger division. This division is for children with physical and developmental challenges. We were the first league in the Middle East and African to have this division". صج اللعبة تعتبر لعبة امريكية بس مشالله 50%من الفريق كويتين. يبدا التسجيل من عمر 4 سنوات و نص الى 17 سنة و رسوم الإشتراك 80 دينار لمدة 6 شهور شاملة الملابس و الأدوات باستثناء القفاز و كل طفل راح يحصل على درع و صورة تذكارية .